Your skeleton is your body's frame! Find out how joints make you move. 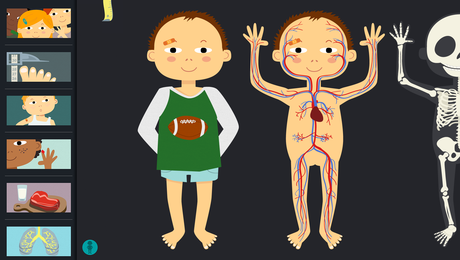 "This is my body - Anatomy for kids" follows a playful yet working methodology that entertains children while learning. All main aspects of the human anatomy are included! 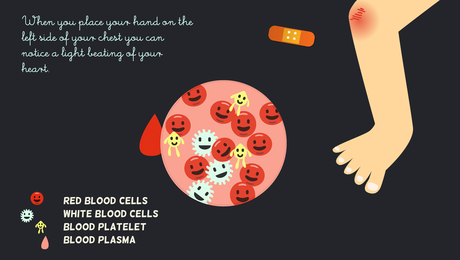 "It is very engaging and fun for all young learners and makes learning about the human body fun and exciting." "I have not seen another app like this yet. I was very impressed with all of the material covered and think that this app could be a wonderful teaching tool for children." "... a most impressive educational application that a wide range of ages – both child and adult – can learn from and enjoy." 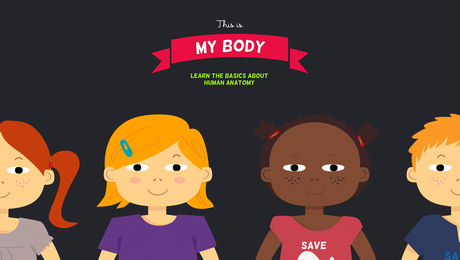 "Fun and beautiful way for kids to learn about the basics of Anatomy. A must have." 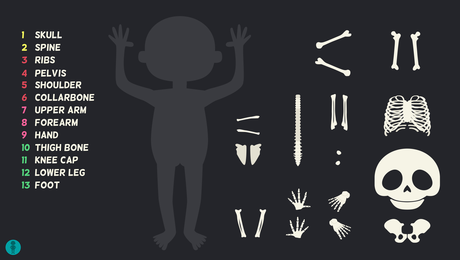 Make your own skeleton, document how long you can keep your breath or your own growth – this and much more to do when downloading this handbook!